Chicken is a vegetable, right? In Buenos Aires, the land of steak, it’s gotta be hard for vegetarians and vegans. After all this is a place where people asking for meat-free options in restaurants will surely hear the waiter offer up dishes with ham or chicken in them, because, after all, they don’t include any carne (beef). Some of the most successful vegan dining experiences in Buenos Aires can be had at Filo in Retiro (more or less the city center), where a delicious cheese-less pizza is an excellent choice, and at Bio in Palermo Viejo, where both seitan vegetable curry with coconut milk, and tofu in a Dijon mustard sauce grace the menu. Buenos Aires has a strong Italian immigrant heritage, and so pasta dishes are an excellent choice for the vegetarian (and many are suitable for vegans too) – you will find acceptable al dente pasta dishes in many Argentine restaurants. Along the same lines, Pizza is an excellent choice here for vegetarians – some of the best available at Guerrin in the city center, Morelia in Palermo Hollywood and Banchero in La Boca. For vegans, cheese-less pizzas will be available at most pizzerias, in the form of fuggazza, a type of pizza made from just pizza dough, olive oil, oregano, and onions. But vegans should beware its close relation, the fugazetta, which also has cheese. In addition faina, a fried chickpea dough, is an excellent vegetarian accompaniment to pizza (eaten on top of your slice). Despite sometimes having a lack of variety, salads are also a good option for vegetarians and vegans in Buenos Aires, and can be found in the majority of restaurants. OK, so many set salads include either eggs, ham or cheese, but in most places you will be able to armar (make/design) your own salad, from a number of choices, such as tomato, lettuce, onion, potato, green beans, carrot, avocado, palm hearts, and so on. Dan from Saltshaker has a number of good suggestions for vegetarian and vegan food in Buenos Aires. 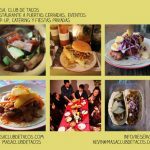 On this page of his you will find his complete list of vegetarian resources and restaurant recommendations. For an interesting vegetarian option from his reviewed list, try Siempre Verde in Belgrano (for Chinese vegetarian food – which is also a good vegetarian option in many other Chinese restaurants and tenedor libres – all you can eat joints), or for a vegan restaurant suggestion, try Krishna Love in Palermo Viejo (scroll down on that page for the review). For those veggie-lovers traveling with meat-eating companions, a nice compromise is Artemisia in Palermo Viejo, a serene and natural environment that boasts a fresh vegetarian menu of salads, woks and seasonal dishes – with a few fish options for those interested. 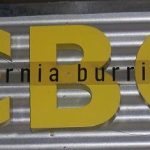 Another interesting, potentially spicy possibility for vegetarians in Buenos Aires is the California Burrito Company, in the city center, who offer up tasty vegetarian burritos and salads, which can also be suitable for vegans you pick and choose the ingredients appropriately – which is dead easy, because your burrito or salad is made at the counter right in front of your very eyes. So there is some “food for thought” before you dine out as a vegan or vegetarian in Buenos Aires. Read more about Vegan dining in an excellent post by the urban vegan, who came to Buenos Aires to hunt down some excellent vegan food options in Buenos Aires restaurants. She has also posted on Buenos Aires in general, including many fantastic photos of the city (and Colonia del Sacramento too). Go check it out! 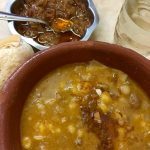 Ña Serapia Join us as we dig in to a bowl of what some consider the best locro in the city - Argentina's National Dish - at Ña Serapia in the heart of Alto Palermo, and learn why this dish is symbolic of the May Revolution! La Cabrera Restaurant At La Cabrera, words just can’t describe the quality of their gigantic steaks and various specialties. Head to Palermo to taste some of the finest steak in Buenos Aires, a city famous for its flavorful beef. 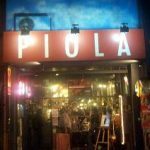 Pizza Piola Trendy Piola Pizzeria, with a location in upscale Recoleta (and other hip cities across the globe), is a great place to sample thin-crust Italian pizza of excellent quality... if you don't mind slow service. There’ve been several more articles this year, including one in The Guardian UK, and in The Boston Globe that also looked at what options there are for those who don’t think a steak is necessary to be fulfilled as a human being. That’s a pretty cool article you did in Time Out… I didn’t get that edition of the magazine, yet. I was born and raised in Buenos Aires and sometimes forced to eat meat because of the reasons you mentioned above. I was never a big fan of the taste and told my doctor I wanted to be a vegetarian when I was 10 years old, only to hear “go home and eat meat like everyone else!”… six years later I decided I was old and ugly enough to live without steaks and red meat in general, then I stopped eating poultry and fish (although I sometimes force myself to eat seafood as I realise the importance of omega 6). When my boyfriend, who is also a vegetarian, visited Argentina for the first time he shared his concerns with me: he imagined it would be just like Spain (where ham is not considered meat?!?) and was pleasantly surprised to find so much pasta! I’ve never had any problems finding meat-free food but would imagine it’s not the best place for vegans. Anyway, thanks for the in depth comment, I wish more readers would come out of the woodwork and share like this! PS – Q. Why did the Spanish pig cross the road? A. He was being chased by a Spanish vegetarian. Great post–thanks for sharing the information, and I’m glad you found my post helpful. BA is a great city, and we would definitely return. One thing that struck me was how helpful the chefs in fancier restaurants (like Sinclair) were–and how willing they were to make a dish to accomodate my diet. Wish we had discovered your blog before we visited. Tchau for nau! Thanks for making the way over here after I bothered you i your comments 🙂 and glad you liked the post. It’s good to hear that chefs in Buenos Aires are happy to try to be flexible in this way. 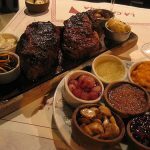 Thanks again for writing your excellent post on your food experiences in Buenos Aires. i don’t know if i missed something but did Cieguilla call herself old and ugly at the age of 16? Obviously a joke but that’s something that deserves a post. please feel free to discuss this ‘old and ugly’ thing between yourselves here in the comments section. Hi! I’m a porteño-native vegetarian (and I’m not the only one, though you might think that it’s almost impossible}. Only open at midday, it also has a great veggie market downstairs. I think it’s closed on Sundays. In the same block as the one above, this place closes early (I think around 8pm) and laso has a great veggie market. This one may also be closed on Sundays. This one is great! It’s a veggie/vegan all you can eat, quite cheap. Open Mon-Sun at midday and at night. This is exactly the type of comment I love to get on my blog – recommendations from people that have lived in Buenos Aires for a long time. Thanks! I haven’t checked out any of the vegetarian / vegan restaurants that you mention personally, but I will add them to my list, as generally I only eat in cheaper restaurants unless it is a special occasion! Thanks for the posting, Dan, as well as all of the other comments. I was wondering if anyone had any recommendations for me. First off, I am vegan and will be traveling to Argentina for a month beginning July 29th for a training session for my work. To make things even more difficult, I will actually be staying in Campana, about an hour and a half outside of BA, at the Howard Johnson Inn, and will only have access to BA on the weekends. Apparently, there is no access to a kitchen at the hotel and only some rooms even have a personal refridgerator in them. I’m keeping my fingers crossed that I’ll luck out with one, but I can’t count on it. I am already very concerned how I am going to make it an entire month there with my diet. I’ve checked with some of my coworkers who have already done their month long training session and they’ve said that practically all that they were fed was steak. If anyone has any advice at all, I’d really appreciate it. Not much to add to Dan’s comment really (thanks Dan) – it might be boring to stick to mainly salads and pastas for a month, but at least you know that these are almost always available in Argentina… and then you could try to pop to Buenos Aires city at the weekends to try out some of the suggestions above, for variety. Or maybe we have a reader from Campana that could suggest something else for you?